The Cornish Pumping Engine is located at a closed mine head in Iron Mountain, MI. 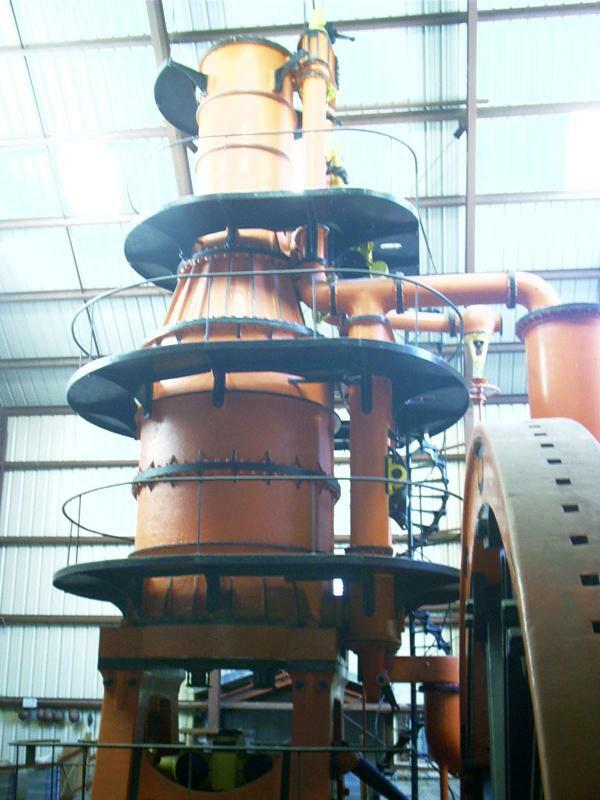 Though made in the United States, it was patterned after pumps used to dewater tin mines in Cornwall, England. An exhibit hall was built around the engine in 1982. 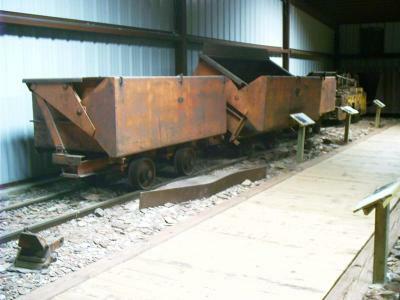 The ore body of the Chapin Mine at Iron Mountain in the Menominee Range was considered unminable until it was drained by one of the largest pumping engines ever built. In 1880, miners sank a shaft through 90 feet of quicksand under a cedar swamp by freezing the soil. Mining continued at the D shaft for ten years, using conventional pumps. Eventually, Edward P. Allis Company of Milwaukee was contracted to build the gigantic pumping engine, which is now designated a landmark. This engine began operating in 1893. The D shaft was pumped to a depth of 600 feet. Then the pumping engine was moved to the Ludington Mine, which had been abandoned in 1891. The Chapin engine pumped to a depth 1,513 feet at the newly designated C shaft. 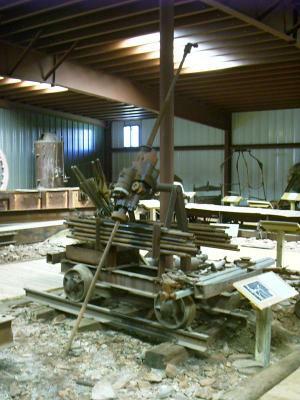 The Cornish Pump Museum houses mining artifacts large and small. This building was where miners changed into their work clothes before proceeding to the head frame to begin their work shift. 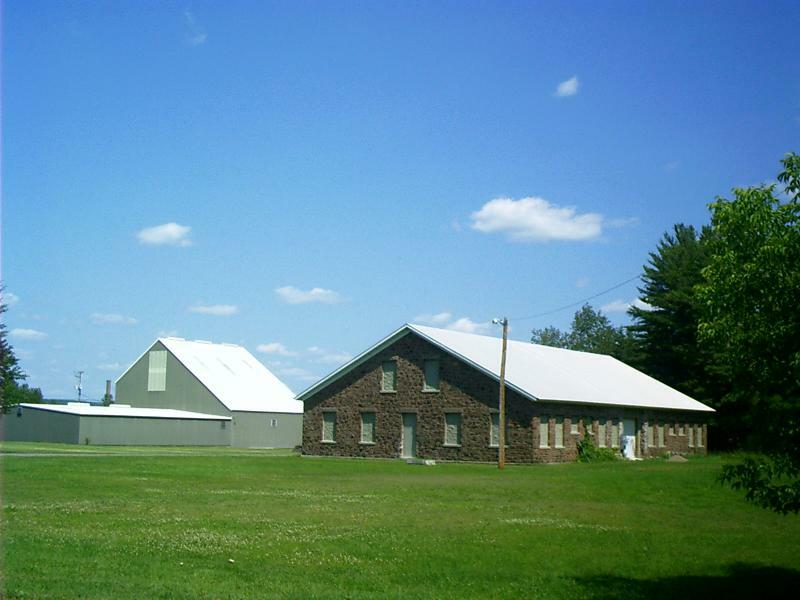 The new exhibit hall surrounding the pump engine is to the left. 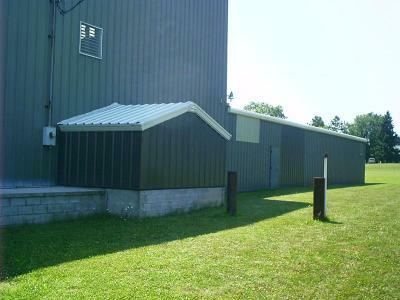 The small shed off the exhibit hall (left center) covers the end of the walking beam that supported the pump rod, which connected water cylinders on eight different levels deep in the mine. 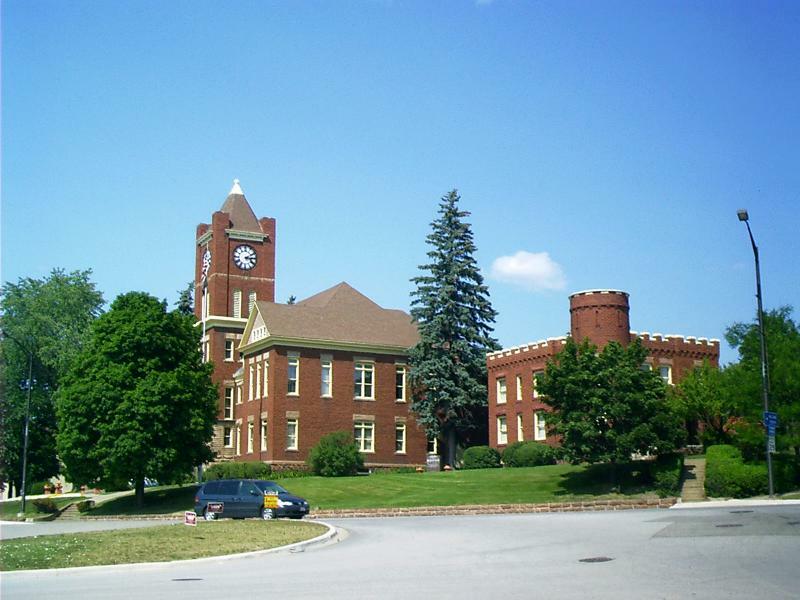 Iron Mountain, MI, is the county seat of Dickinson County in the Upper Peninsula. The Upper Peninsula of Michigan is also known as "The Upper Peninsula", "The U.P." (or "The UP"), and "Above the Bridge" by Michiganders, and is sometimes called "Northern Michigan" by non-Michiganders ("Northern Michigan" usually refers to the northern half of the Lower Peninsula, to Lower Peninsula residents). The Upper Peninsula of Michigan is separated from the Lower Peninsula of Michigan by the Mackinac Straits [pronounced Mackinaw], five miles across at its narrowest, and is connected to it only by the Mackinac Bridge. Until the bridge was completed [in 1957], travel between the two peninsulas was difficult and slow (and sometimes even impossible during winter months). Car ferries ran between the two peninsulas, and at the busiest times of year the wait could stretch to hours. In winter travel was only possible over the ice after complete and solid freeze-up of the straits. Menominee is Algonquin for "wild-rice people." 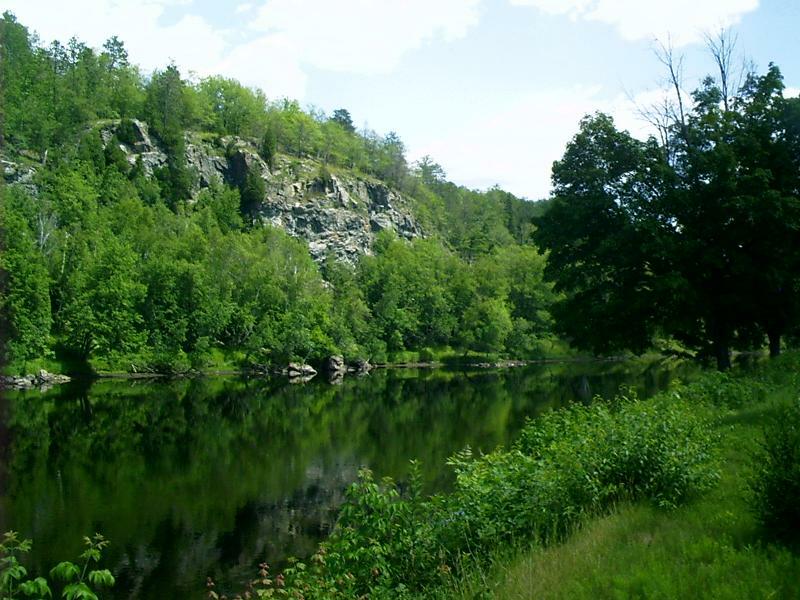 The Menominee River forms part of the state boundary between upper Michigan and Wisconsin. It gives its name to the iron range where Iron Mountain, MI, is located and to the city and county in the Upper Peninsula. The river is not anywhere near and ought not to be confused with the Menominee Indian Reservation on the Wolf River in Menominee County, WI, the city of Menomonee Falls on the Menomonee River in Waukesha County, WI, or the city of Menomonie on Lake Menomin on the Red Cedar River in Dunn County, WI. The term "iron-formation" is perhaps the most enigmatic and controversial term ever concocted for a rock type. Iron formations were deposited in many parts of the world during the Early Proterozoic (Precambrian) in formations that are 500 to 2,000 feet or more thick and that extend for hundreds of miles. Therefore, thousands of cubic miles of iron-rich sediments were deposited in a number of basins. After the Early Proterozoic (about two BILLION years ago) deposition of iron-formation ceased, and this distinctive rock type is essentially absent from younger geological sequences. Thus, we are left to puzzle over where the vast quantities of iron came from during the Early Proterozoic, and why iron is not found in younger rocks. This all suggests that a major change in the chemistry of the surface environment of the earth must have occurred around two billion years ago to prevent iron-formation deposition in younger rocks. Most geologists now believe that the major change was the development of an oxygen-bearing atmosphere on earth. Iron is relatively soluble in an oxygen-deficient environment (like that of the earliest Precambrian) and therefore would be present in large amounts in ocean waters. In oxygen-rich environments, like the present atmosphere, iron is incredibly insoluble and therefore is not present in quantity in ocean waters. Iron-formations have played an important part in the settlement and economic development of the Lake Superior region, for these rocks are the source and host for a vast majority of the iron ore produced in North America. The map below shows that iron formations are commonplace throughout the Lake Superior region. 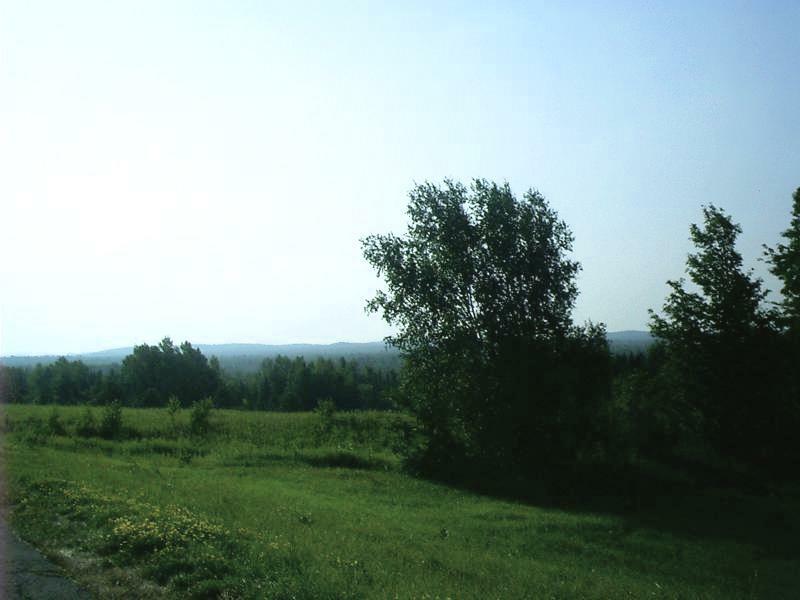 The largest of these is the Mesabi Range in Minnesota. Throughout the Lake Superior region the mining of natural ores has been phased out in favor of mining and mechanical concentration of taconite. Taconite is iron-formation that has not been oxidized and enriched by natural processes. Two factors have contributed to the demise of the mining of natural ores: (1) natural ore bodies have been largely mined out, and (2) blast furnaces are more efficient when using processed, rather than raw, ores. The tremendous consumption of iron ore during World War II, when the Lake Superior region was the major producer of iron ore for the Allied forces, was the zenith of production of natural ores. A rapid decline in the mining of natural ores was accompanied by major technological advances that led to the development of the taconite industry. By 1950 the industry knew how to concentrate the low-grade taconite ore into higher-grade forms, but not how to pelletize it. When the Korean War broke out in 1950, fears of domestic resource exhaustion were rekindled. Under the Defense Production Act of 1950, Congress quickly enacted loan guarantees, rapid tax write-offs and other tax policies that helped specific industries. This act was designed to "encourage the exploration, development and mining of critical and strategic minerals and metals." It worked. Thus, the biggest problem the iron ore industry faces today is that attempts to produce more iron are working too well. Today we are far closer to a glut than a scarcity. Technology's solution of pelletizing low-grade taconite is the most intriguing. It produced results that few had expected--results that scientists have called counter-intuitive. It made low-grade ore better than the high-grade ore once used. And it did so in a way that saved energy and labor. All of the Marquette Range ore currently mined is excavated from open pits using diesel-powered off-road trucks loaded by electric and diesel-powered shovels. The ore, which in the ground consists of 25 to 45 % iron by weight, is pelletized at processing plants adjacent to each mine. First ground to a fine powder, the ore is next concentrated using magnetic separation and flotation to 60 to 65 % iron, then rolled into 3/8" diameter pellets that are purplish-gray when they emerge, steaming, from the plants. The rust color of pellets that have lain exposed to the weather is entirely natural, as the iron in the pellets is chemically combined with oxygen to form iron oxide, more commonly known as rust. Small amounts of silica, alumina, manganese, limestone and bentonite make up the rest of the pellet. Bentonite (an extremely sticky clay) is added at the rate of 16 lbs per ton as a binder. Limestone, which serves as a flux in the steel-making process, is added to the pellets at the processing plants to simplify blending at the steel mills. The limestone comes in on inbound ore boats to both Marquette and Escanaba. At Marquette, it is offloaded at the Upper Peninsula Power Plant adjacent to the LS&I ore dock and hauled by truck to the Empire and Tilden Mines. The Chicago & Northwestern Railroad hauls the limestone unloaded at Escanaba to the Empire Mine in ore cars. All of the underground mines that for over a century were the backbone of Marquette Range production have long since closed, and it is highly unlikely that they will ever reopen. Gogebic is pronounced Go-GIB-ik with two hard G's. 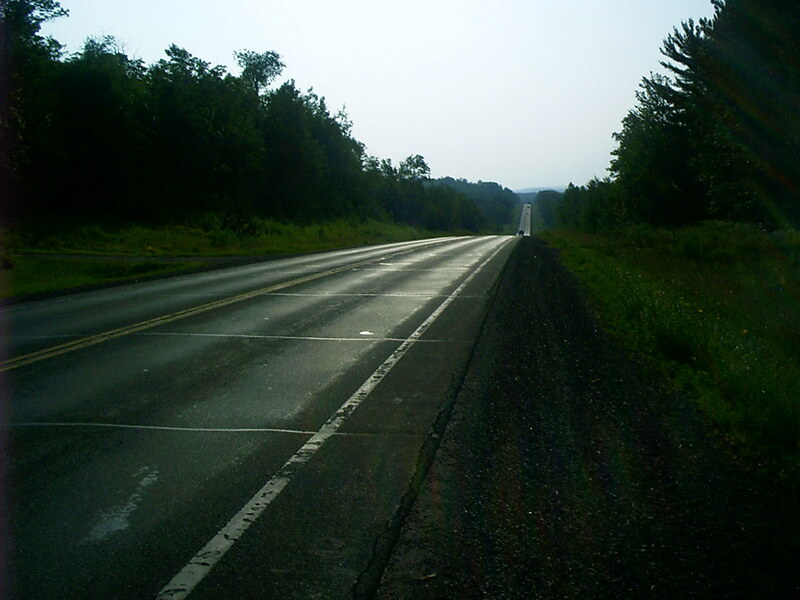 Text of Roadside Marker: The Gogebic Iron Range, which may be seen to the south of here extends for 80 miles from Lake Namekagon, Wisconsin, to Lake Gogebic (Chippewa for "place of diving") in Michigan. Prior to the discovery of iron ore, the area was relatively uninhabited as the land was ill-suited to agriculture. Nathaniel D. Moore uncovered ore deposits in the Penokee gap near Bessemer in 1872, but it was not until 1884 that the first mine shipment was made. The news spread rapidly, attracting speculators, investors and settlers. By 1886 there were 54 mines on the range, and the area was boomed as having "inexhaustible deposits of uniformly high-grade Bessemer ores." For a brief period stocks rose 1200 percent. The crash in 1887 ended the extravagant prosperity. US 2 runs from Everett, WA, to St Ignace, MI, and from Rouses Point, NY, to Houlton, ME. Canada has no single-numbered connecting highway from Sault Ste Marie through Ottawa, ON, and Montreal, QC. On my motorcycle trip, I picked up the Hi-Line in Iron Mountain, MI, and traveled all the way west through Duluth, MN, to Browning, MT. Through the iron ranges, it threads its way -- over the Canadian Shield, through Indian reservations. On the margins of the Missouri and the Milk it goes -- past the Sweet Grass Hills, the surplus of creation, to ascend the Rockies through Marias Pass. Rhode, Chuck. "Chapin Mine Pump, Iron Mountain, MI." The Hi-Line and the Yellowstone Trail: To Glacier Park and Back Again. 1 Sept. 2004. Lacus Veris. 24 Apr. 2019 <http://lacusveris.com/The Hi-Line and the Yellowstone Trail/The Northwoods/Chapin Mine Pump.shtml>. Last modified 6 Oct. 2015. Served 14511 times between 16 May. 2010 and 24 Apr. 2019. Contact mailto:CRhode@LacusVeris.com?subject=LacusVeris.